Zander Adell is founder of Doorman, a logistics startup that aims to solve the famous "last mile" problem for mail and package delivery. 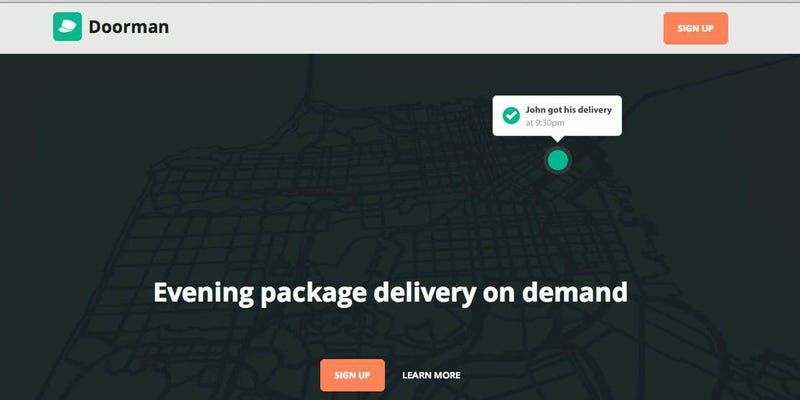 By receiving your deliveries for you remotely and delivering them to your door by appointment, Doorman aims to make getting your Amazon packages as easy of a process you could hope for. Apartment dwellers without doormen in an urban area will readily tell you that to be home at the right time to receive a package from UPS and others is nearly impossible. You almost always have to make an in-person visit to the post office or to UPS to pick it up later. Doorman aims to turn this asynchronous experience into one that's much more synchronous and takes place on your own terms. All it takes is the use of the Doorman iOS or Android app and a new custom address it provides so Doorman can receive your parcels. Currently serving San Francisco, the company partners with mailbox rental facilities to receive your mail nearby, then hires background-checked drivers to deliver your stuff to your home by appointment as late as midnight. Each time they come to your place, regardless of the number of packages, it's a $7 charge but there's an aggressive promotional system at work where you can tweet about the company and receive your delivery for free. We've seen our fair share of mobile recording gear, and IK Multimedia is certainly no stranger to the fray. For those who prefer a more hand-held approach to tracking with an iOS device, the outfit has outed the iRig Mic HD. The digital condenser microphone is capable of handling your best attempt at Freddie Mercury's vocals, instruments and good, ol' spoken word with a 24-bit digital converter and a shape that will sit cozy in standard mic stands. There's also a built-in preamp and LED status indicator to keep levels in check -- similar to what we've seen on some of the company's previous releases. Of course, the main selling point is the unit's compatibility with the iPhone and iPad via Lightning connector (an improvement over its predecessor), but the device also plays nice with Mac thanks to added USB connectivity. 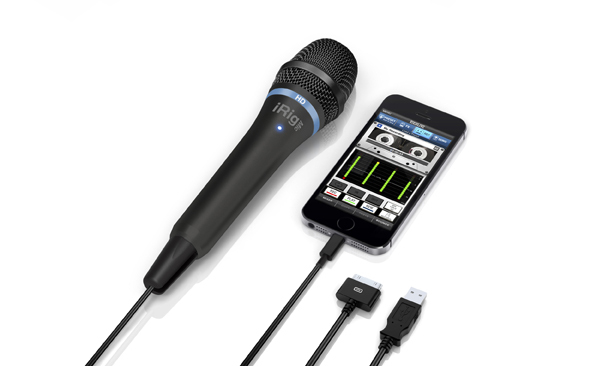 As you might expect, the iRig Mic HD works with IK Multimedia's stable of apps like AmpliTube and iRig Recorder for those mobile captures. If you're still sporting older iOS wares, a 30-pin cable can be purchased separately when the $99.99/€79.99 accessory arr! ives nex t quarter. Back in November, the folks in Mountain View trotted out the beta version of a Chrome extension that brought "OK Google"-enabled voice search to the desktop, no clicks required. That's all fine and dandy, but what if it said control was a standard option on the desktop, capable of being toggled on or off with a click? Well, the Chromium folks are working on just that, with options for the browser to stop listening after five minutes and working incognito. Items like this that pop up in Chromium have a tendency to turn into standard Chrome features at some point. There's no telling when we'll be able to use spoken word as a standard search tool, but there's always the beta add-on for sorting hands-free queries in the meantime. Fancy feeding your music production hobby with a slate rather than a collection of pricey gadgets? 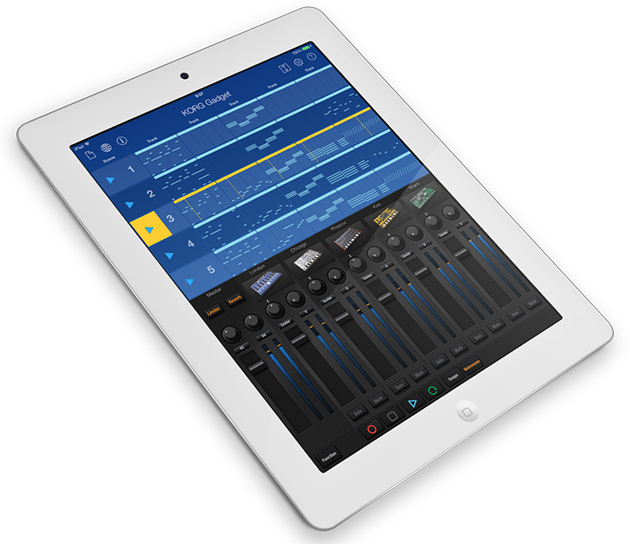 If so, Korg has added to its iPad-based offerings with the Gadget app. The software for Apple tablets bakes in 15 different sythesizers and drum machines (called Gadgets) that can be combined any way you'd like to construct those beats. 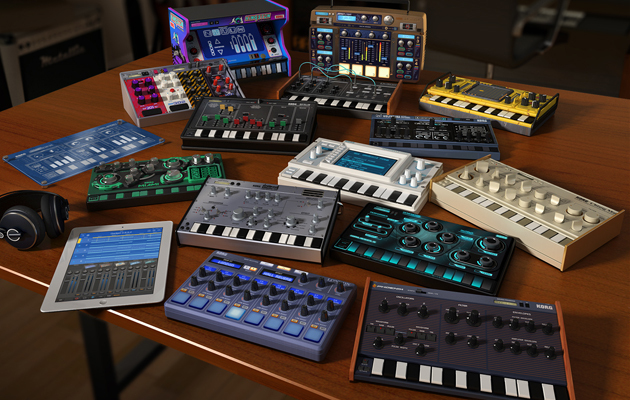 Ranging from the Kiev digital synth to the Chicago tube bass machine, the app's instrument arsenal (which can be previewed here) covers quite the sonic spectrum with drum and synth sounds a plenty. Keeping the orientation vertical, the UI is divided into two sections that allow for dual control at all times. This is aimed at making both track and instrument adjustments quick and easy. If you're concerned about your lack of musical skill, there's a scale function helps you avoid hitting a wrong note whilst getting your feet wet. Already splurged for the latest iPad? Korg says you'll be able to run more than 20 of the instruments at the same time, thanks to its beefed up chipset. Once those audio files have been tinkered with enough, options for sharing to Facebook, SoundCloud and Twitter or beaming them to Dropbox for safe keeping are all built in. There's also access to GadgetCloud for showing off projects with fellow users of the software -- complete with its own ranking system. The app is a bit pricey at $38.99, but if you commit before February 23rd, you can snag a $10 discount at that second source link below. 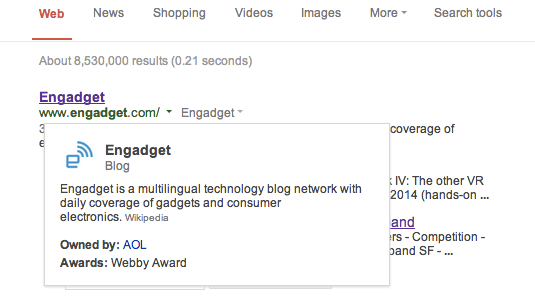 Google knows a lot, both about its users and about the internet in general. Today, the team in Mountain View has found a new way to share more of its vast knowledge of the web with us by providing background info on sites that show up in search results. You see, site information is gleaned from Google's Knowledge Graph, and for every site we've checked thus far, that means the data's coming from Wikipedia -- so don't go thinking that this new cursory background check is 100-percent accurate. Google's not providing the extra info about all sites, either, just those that are "widely recognized as notable online" according to the company's blog post announcing the new capability. Still, it's a nifty addition that should give netizens some peace of mind before clicking search-provided links, and Google's promising that as the Knowledge Graph grows, so too will the amount of information this new feature can provide. With phone specifications often reaching a terminal velocity before the next new technology or trend, giving your hardware a differentiator can be hard. 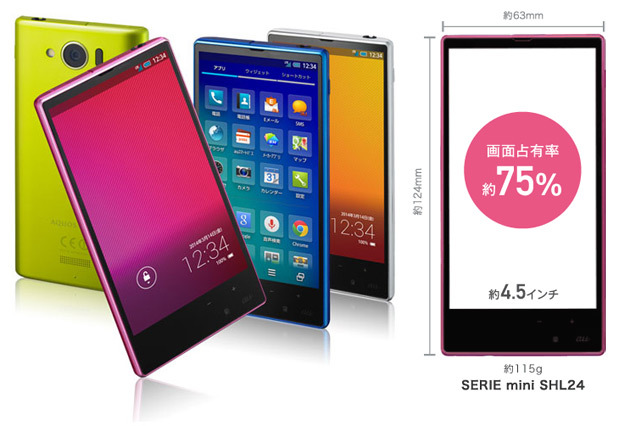 Sharp's new AQUOS Serie mini SHL24, however, is having a stab at a couple. Firstly, the TV-maker is leveraging its IGZO screen tech, and spicing it up by cramming a full (1080p) HD display into the 4.5-inch panel -- that's almost 490 PPI. Secondly, in what it's calling an "EDGEST" design, the AQUOS Serie mini SHL24 seems to have some of the thinnest bezels we've seen for some time (bar the bottom one where the buttons are) making that screen really take pride of place. Thirdly? Colors of course! As for the rest of the specification, well it's not too shabby either. First up it's running Android Jellybean (4.2), sports a 13-megapixel camera, 16GB of storage (with an SD card slot) and a Snapdragon (MSM8974) quad-core processor -- clocked at around 2.2 GHz. Oh, and it's even waterproofed to IPX57 standards. That's quite a few boxes ticked. But, sadly there's one biggie that currently remains empty -- as far as we can see right now, this is a Japan-only device. Sorry. Massive screens and large form factors are finally resonating with consumers in the smartphone market, according to a new report from Juniper Research. 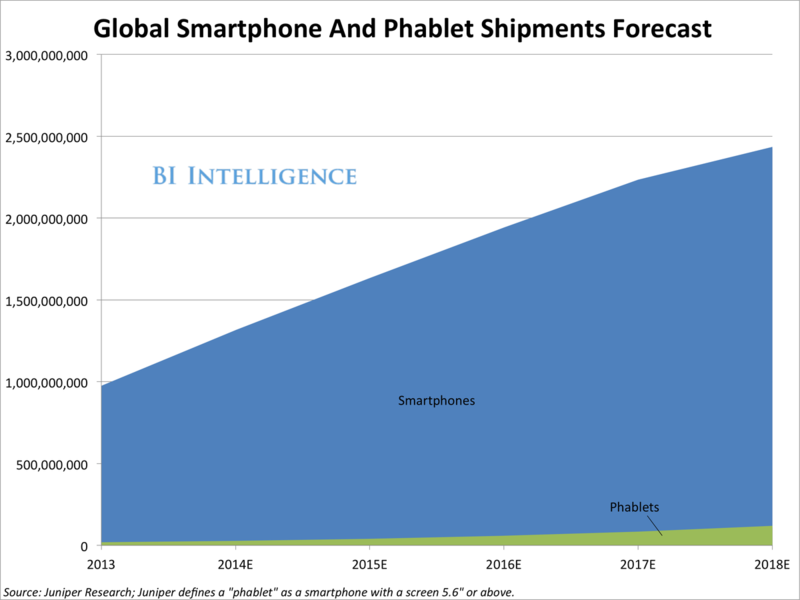 Juniper forecasts that worldwide annual phablet shipments will hit 120 million in 2018. That's up from just 20 million last year, which equates to roughly 43% compound annual growth between 2013 and 2018. Lining those numbers up against our recent smartphone market forecast figures, though, shows that, despite rapid growth, phablets are unlikely to have a truly defining impact on the smartphone market. By 2018, they will only make up about 5% of smartphone shipments, according to our estimates. 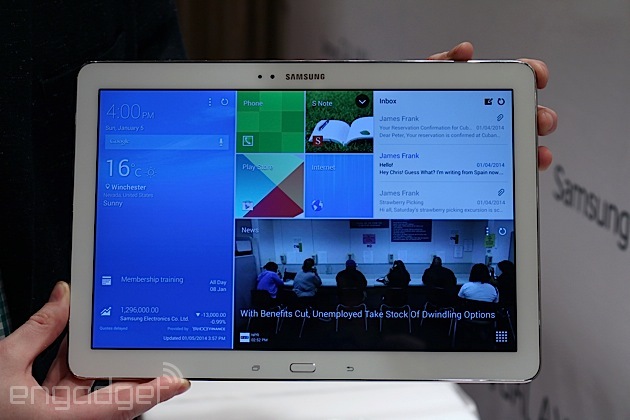 Samsung is already at the forefront of the phablet movement and having an enormous impact on the market as a whole. In fact, the 5.7-inch Samsung Galaxy Note 3 may have accounted for over half the 2013 phablet sales reported by Juniper; Samsung sold a reported 10 million units in just two months on the market. But Juniper defines a phablet device narrowly, as a smartphone whose screen is 5.6 inches or above. IDC, on the other hand, defines phablets as a smartphone with a screen size of between 5 inches to 6.9 inches. By this definition, demand for phablets in Asia-Pacific alone is accounting for a much bigger slice of the smartphone market. 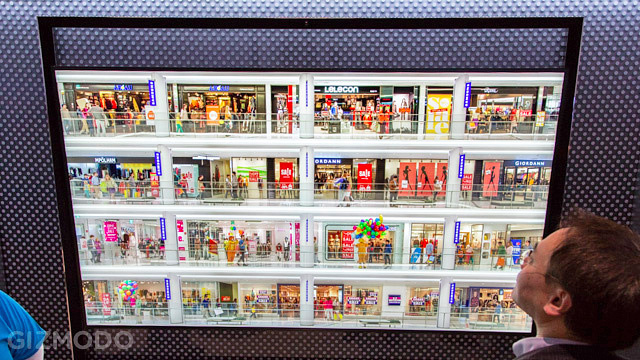 In the second quarter of 2013, IDC reported that phablet shipments in the region reached 25 million. We consider Juniper's definition a fair benchmark for the phablet category, but it's still important to keep in mind that the overall trend in the smartphone market is to larger-sized phones, even if these bigger devices aren't quite phablets. Consumers are embracing larger 5-inch screens and gravitating away from smaller 3.5 or 4-inch screens. 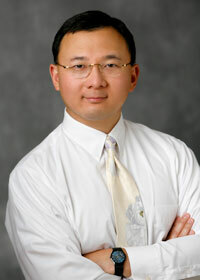 For example, Samsung's Galaxy line of smartphones have taken developed markets by storm. In North America, the Galaxy S3 and S4, at 4.8 and 5 inches, respectively, make up over 55% of smartphone Web traffic, according to Chitika. 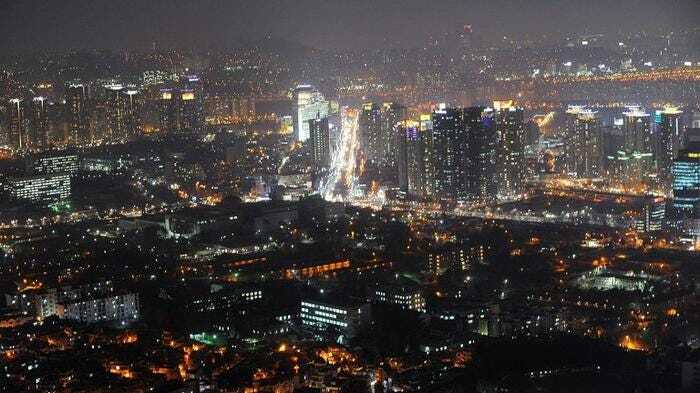 South Korea, already one of the most wired countries on earth, Wednesday announced a 1.6 trillion won ($1.5 billion) plan to roll out a next-generation 5G wireless service quick enough to download full-length films in a second. "We helped fuel national growth with 2G services in the 1990s, 3G in the 2000s and 4G around 2010. Now it is time to take preemptive action to develop 5G," the ministry said in a statement. "Countries in Europe, China and the US are making aggressive efforts to develop 5G technology ... and we believe there will be fierce competition in this market in a few years," it said. Under the roadmap, a trial 5G service will be rolled out in 2017 and a fully commercial service in December 2020. Priority will be given to developing key features for the new network, including Ultra-HD and hologram transmission as well as cutting-edge social networking services. Related industries will be able to rack up sales of 5G-related devices and infrastructure equipment worth 331 trillion won from 2020 to 2026, the ministry estimated. Toshiba made its first move to rescue faltering solid state drive manufacturer OCZ Technology back in November, and now that sale is final. 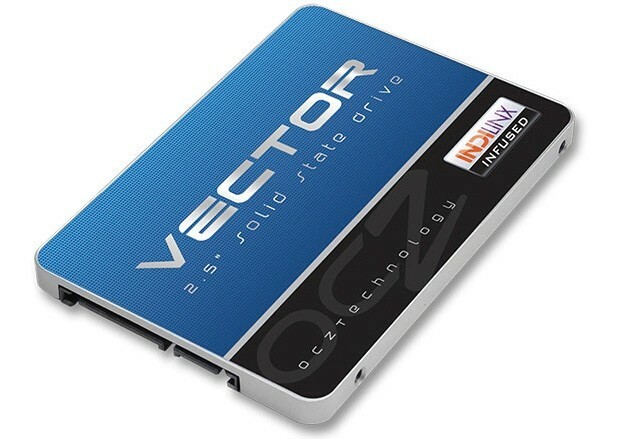 In the deal, OCZ gets to keep its identity and independence, but will now operate as OCZ Storage Solutions. It's a slight change in nomenclature to be sure, but hopefully that won't make picking its drives out from Newegg's stock any harder. Just think: for a cool $35 million, maybe you could have bought the drive-maker for yourself. 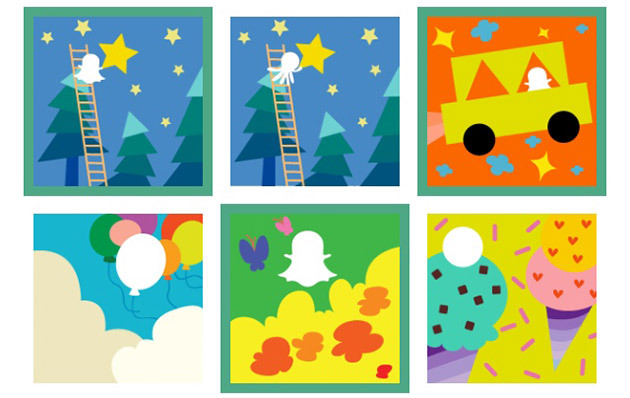 It's anyone's guess what Snapchat's done behind the scenes to patch up its data vulnerabilities, but the firm's continuing to address the issues with a new public-facing measure. For instance: the app now has a new (and surprisingly cute) security measure in place to prevent the mass creation of dummy accounts usually made to harvest users' phone numbers. 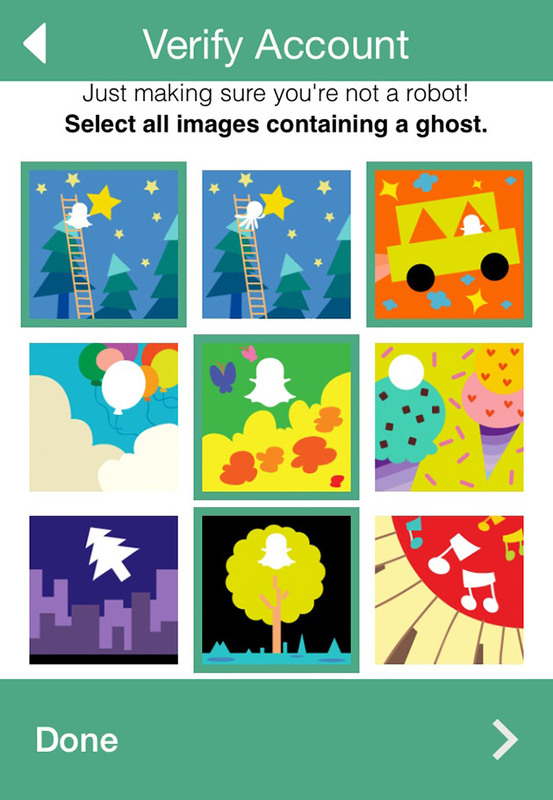 When new folks sign up, they're shown nine images instead of the usual captcha, and they have to prove they're not a bot by choosing the ones with Snapchat's ghost mascot. In addition, the company now implements server-side checks to ensure that those who use the Find Friends feature are real people with verified phone numbers. In theory, this double security layer should make it hard for scammers and spammers to collect private info en masse. Those still worried about their privacy, however, can always unlink their phone numbers for their own peace of mind. T-Mobile isn't just content being your wireless carrier. It now wants to manage your checking account, too. The company announced today Mobile Money, a free checking account service available to anyone with a T-Mobile phone number. You deposit cash to your account at the T-Mobile store and checks by snapping a photo of the document using the T-Mobile Mobile Money app for iPhone or Android. To get cash, you can make withdrawals (no fees!) from a network of 42,000 ATMs that you can find using the app. There's also a network of international ATMs that you can use for free. You can transfer money to other Mobile Money customers using the app if you have the person's T-Mobile phone number and last four digits of his or her debit card. You pay your bills electronically using the app or T-Mobile's website. You can also have T-Mobile cut a check and send it to someone if that's your only option. Mobile Money is totally free except for the occasional fee you might have to pay for stuff like same-day bill payments. But it's not for everyone, of course. T-Mobile is only offering free checking, not savings accounts or any of the other premium services traditional banks offer. It's simply an option for T-Mobile customers who want to easily move money in their checking accounts around. If you need more than that, you're probably better off with your regular bank. Transparent screens just aren't very practical these days -- bigger models are frequently expensive and bulky, while smaller heads-up displays tend to have very narrow viewing angles. 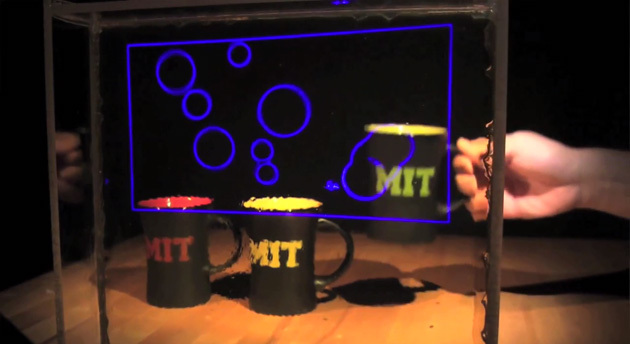 However, MIT may have solved all those problems at once with its prototype nanoparticle display. The device creates color images on a glass surface simply by 'tuning' a silver nanoparticle coating until it lets only certain light wavelengths pass through. The technique is both cheap and compact, since it requires little more than the coating and some off-the-shelf projector technology. There's also no need for beam splitters or mirrors, so you can see the picture from just about any angle. While there's a lot of work left before there's a finished product, researchers note that their display would be as easy to implement as window tinting; don't be surprised if MIT's screen shows up on a car windshield or storefront near you. Back in May of 2012 the NHK's science & Technology Research Lab in Japan successfully broadcasted an 8K, 7680x4320 signal over a distance of 2.7 miles using UHF frequencies. As a proof of concept it showed that 8K TV could be successfully delivered to televisions over the air, but it lacked the distance of traditional TV broadcasts. 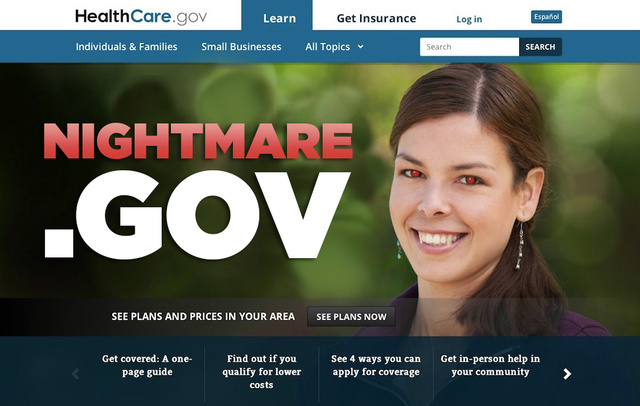 After the bevy of problems Healthcare.gov encountered in its first few months of life, dumping one more onto the pile shouldn't phase you all that much, right? Well, not if that hiccup is actually a gaping vulnerability—and one that can grant hackers access to over 70,0000 private records in just four minutes, at that. Veho is perhaps mostly known for its range of accessories -- so when we tested its entry into the (already busy) action cam market, we were pleasantly surprised by how good it was. Fast-forward to today, and it appears it's looking to build on that success with a trio of new models. The Muvi K-2 NPNG edition is the show-stealer, and offers 1080p video up to 60 fps (or 120 fps at 720p), 32 Mbps bit rate video (double the previous model), WiFi, a pre-record function, built-in 2-inch LCD and a case that's waterproof to 100 meters all for £280 (about £100 less than a top-spec GoPro or £40 short of a Drift). The two other models -- the K-2 and K-1 -- come in at £240 and £190, respectively, with the former simply coming with fewer accessories, and the latter featuring a drop in shooting options (no 60 fps at 1080p, etc.) and a dip in bit rate (16 Mbps, not 32). 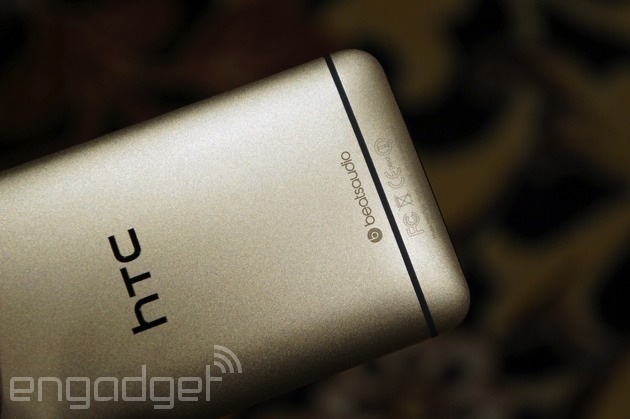 US pricing is still to be confirmed, but will start in the region of $199 for the base model. The K! -series launches in February, which leaves just enough time to work on that 900. Today, we allow for the simple export of a .gpx file where a workout is recorded with GPS. 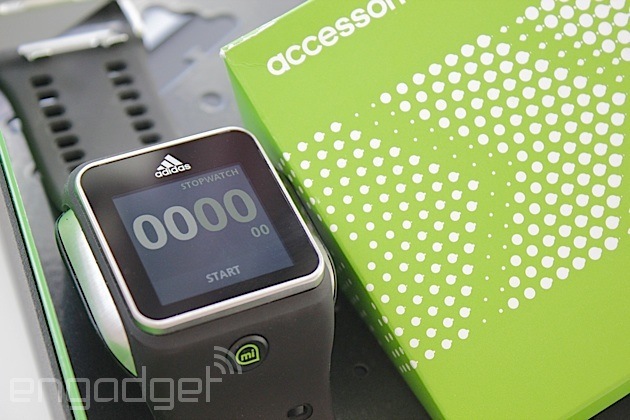 The next step will be to allow platform to platform connectivity for data to be ported from miCoach to other existing communities and vice versa. Ultimately, it is no secret that we are targeting an open API in the not too distant future. So, if you were stuck to the couch with purchasing indecision, perhaps these tweaks will be enough to get you up on the starting blocks? 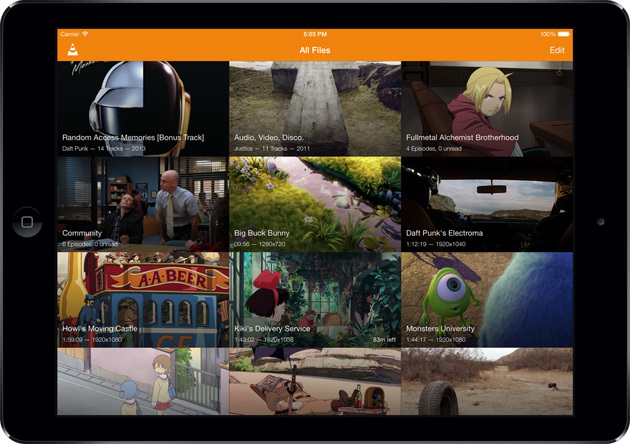 VLC for iOS just got a much-needed coat of fresh paint. The media player's version 2.2 update has introduced an iOS 7-native interface with its own set of multi-touch playback gestures: you can tap with two fingers to pause a video, and swipes control the brightness, playback position and volume. This is more than just a skin-deep upgrade, though. VLC is now more cloud-savvy with support for Dropbox streaming, HTTP Live Streaming and downloads from Google Drive. The new app handles both lock screen privacy and TV show organization more elegantly than its predecessor, and it plays clips encoded in the more advanced HEVC (H.265) and VP9 formats. 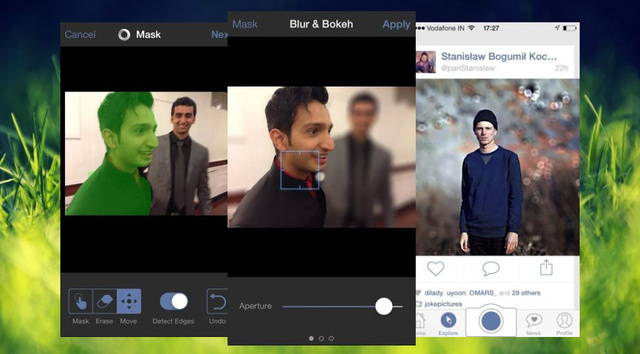 All told, there are plenty of reasons for video lovers to swing by the App Store for the upgrade. 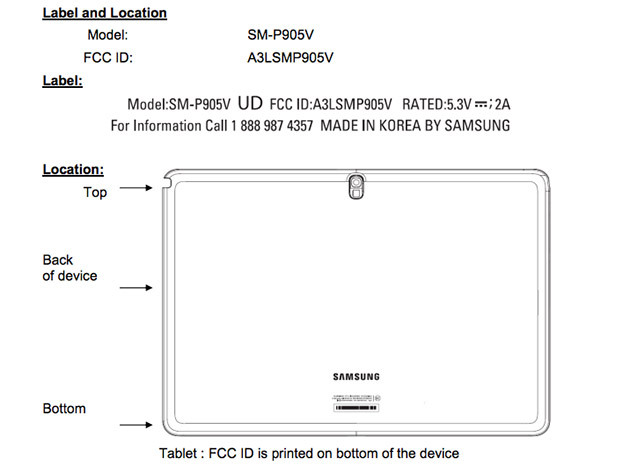 We've yet to hear more details about the Galaxy Note Pro 12.2's launch this quarter, but a recent FCC filing at least reveals that it might head to Verizon. According to the documents, a particular variant that goes by model number SM-P905V supports Big Red's LTE (4 and 13) bands. Since the 2014 refresh of the 10.1 Note Pro has also passed through the agency with Verizon LTE, the carrier might offer both sizes when the tablets hit the market. Based on the info we got from the gigantic tablet's CES debut, it'll have a WiFi version for those who have no need for mobile internet. Folks set on buying one with long-term evolution speeds, however, may want to cross their fingers for the behemoth to hit their preferred carriers.